On Oct. 18 Author Catherine M. Wallace discusses her series "Confronting Fundamentalism", in which she argues that Christianity has been hijacked by fundamentalists and presents an alternative. A leading humanist scholar stressed symbolic Bible reading and warned of the radical right at a talk on Tuesday at the Seminary Co-Op. For Catherine M. Wallace, faculty member at Northwestern's Feinberg School of Medicine and author of the recently concluded book series Christian Humanism and the Moral Imagination, the Christian fundamentalist movement in the United States is more dangerous than Islamic terrorism. Wallace, a Christian herself, believes fundamentalist access to United States armaments is the number one threat to state security. “If [anything Islamic] wanted to attack an American city, they had to hijack an airliner. If they want to blow up a concert, they need to put bombs on their own children and send young men in to kill themselves...that kind of radicalism [Christian fundamentalism] in control of nuclear codes was a much, much greater threat,” Wallace said. As a historian and Christian humanist, Wallace wanted to examine fundamentalism’s strongest arguments and find its weaknesses. 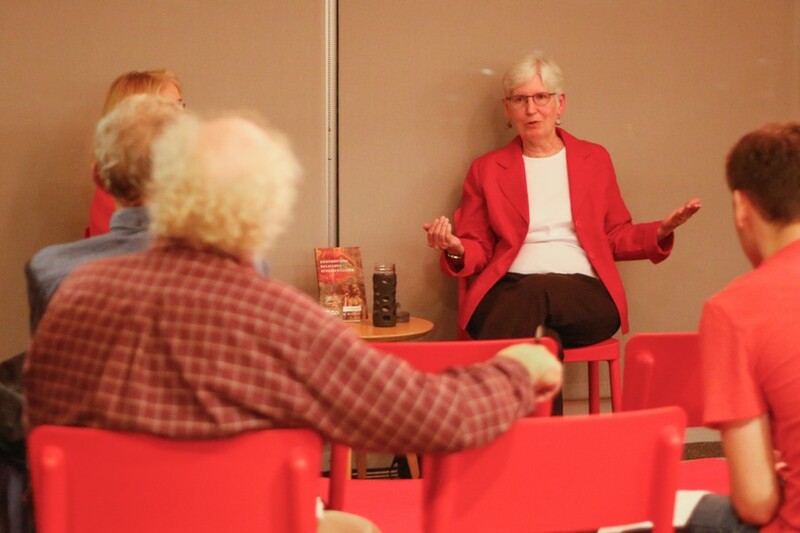 She looked at how fundamentalist Christianity first sprung up in the Southern United States. “The religious right in its most contemporary form has an origin in Southern opposition to desegregation and to the Civil Rights Movement...a transparently racist appeal,” Wallace said. In Wallace’s view, this radicalism stems from a literal reading of the Bible. “Nobody in the ancient world would have read the Bible literally,” Wallace said. The idea of a literal reading is a thoroughly modern phenomenon, according to Wallace—church fathers of the past would discourage anyone from taking the Bible literally. Therefore, according to Wallace, the fundamentalists have it all wrong. “Christian fundamentalism is a malignant form of Christianity,” Wallace said. In her opinion, their literalist reading creates misconceptions of what the Bible means, fostering a climate of hate and leading to increased and unnecessary conflict between Christians and the rest of the world. Near the end of the talk, Wallace turned to her personal take on the Bible. “It’s the great anthology of Jewish storytelling. It’s brilliant, but these are very ancient stories.” She argues that by reading the Bible this way, Christianity can far better coexist with the worlds of science and politics. Equally important, the religion can lose its reputation of going against facts and progressive social trends. Wallace sees her books as an attempt to bridge this gap between Christianity and an increasingly secular society. “I wanted something that would be absolutely welcoming and accessible to anybody whether they have any religious background or interest. We’re gonna meet on open, shared, common historical grounds.” The topics of her books range from gay marriage and judgmentalism to science and religious violence.